It's our very first episode and we are already feeling nostalgic for our past. 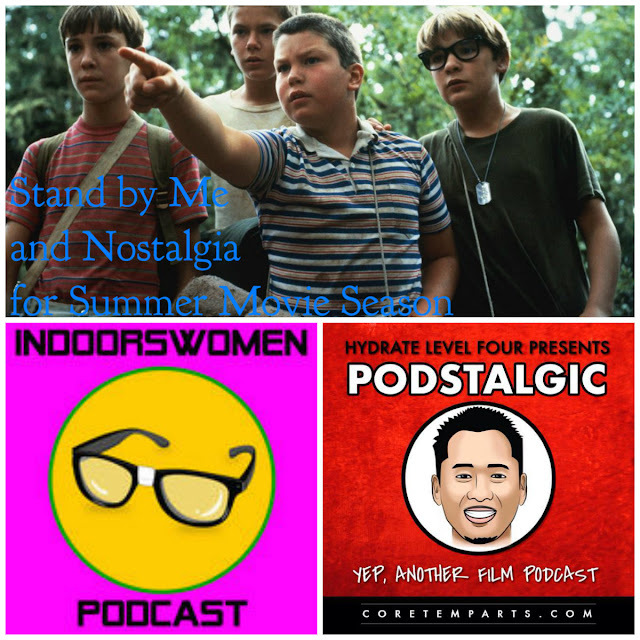 To do so we take a look at the summer movie classic STAND BY ME, while crediting the INDOORSWOMEN PODCAST and PODSTALGIC for kicking off our conversation on the state of summer movie season in 2017 and where we hope it to be in the future. Along the way we debate the merits of the year's biggest critical and box office hit WONDER WOMAN, an 80s update to Stephen King's IT, and the decision to start with two of the grumpiest film podcasters as the inaugural hosts to this rotating panel show. But for now, it's Jairo from THE TRUE BROMANCE FILM PODCAST, Michael from PROJECTING FILM, and this is MARK AS PLAYED.